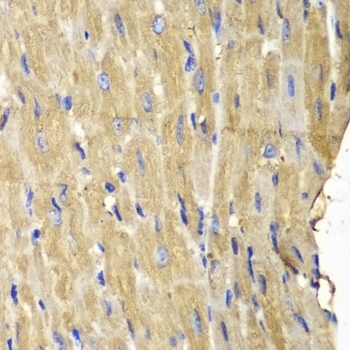 Rabbit anti phospholipase C-gamma-2 antibody recognizes phospholipase C-gamma-2 also known as PLCG2. Phospholipase C is a family of enzymes that cleave phospholipids producing molecules (DAG & IP3) that induce further downstream signaling. 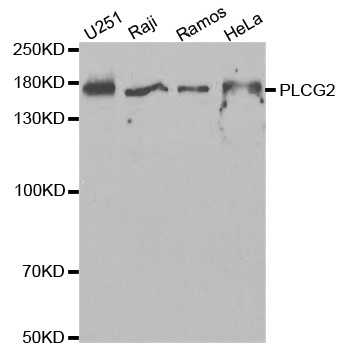 Antiserum to phospholipase C-gamma-2 was raised by repeated immunization of rabbits with highly purified antigen. Purified IgG was prepared from whole serum by affinity chromatography.